So many of you mentioned how you were loving the color-focused posts we’ve been creating for fall (see them here, here & here), so this week I’m sharing another one that happens to be a personal favorite of mine. 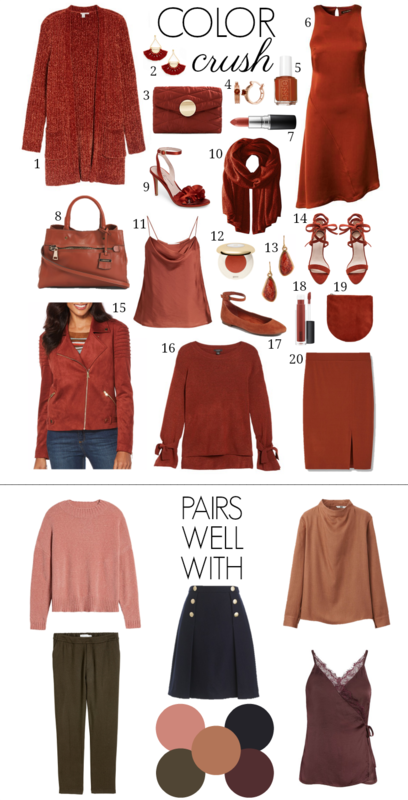 This pretty rust hue looks gorgeous on any skin tone & is perfect for pairing with neutrals like camel, ivory & chocolate. But, it also looks striking with blush, navy, olive & eggplant. There are so many great pieces in this pretty shade right now – I’ve got my eye on this cozy sweater & this satin wrap blouse. See more of my top picks below! I absolutely love this color. 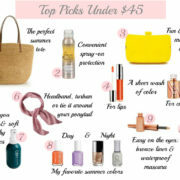 Thanks for featuring so many great picks in this color! Oh my, after black these are my favorite colours! Love this colour. Would love more color crush posts.